Between Heaven and Earth (Power of the Matchmaker) by Michele Paige Holmes. Audience/Genre: Adult, Contemporary Romance, Clean Read. Cassandra Webb’s every waking minute is devoted to being a great mother and wife. She takes five-year-old Noah to the library each week, volunteers in his kindergarten class, and even coaches his soccer team. She makes sure her husband’s uniforms are always laundered—even though he hasn’t worn them the last six years—always has his game day snacks on hand, and meets him for date night every Friday—which consists of one sided conversations at his bedside and watching his favorite take out remain untouched. Pearl, a mysterious visitor at the care center, suggests that it is only Cassie’s love still tying Devon to Earth when he has been ready to move onto Heaven for quite some time. 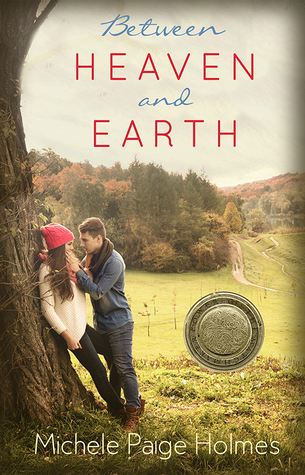 If Cassie will but open her eyes and heart, she will discover the path she should travel, one that will bring relief to Devon and much joy to her own life. But Cassie vowed never to give up on him. She never has and she can’t now, even after meeting hapless, single soccer-dad Matt. This book leaves you thinking what would you do if you were in Cassie’s situation? Then when Ms Pearl comes in she adds more to think about. It took me longer to read because I was thinking so much! My heart broke for both her and Matt. I loved how this book was more than about two people but children as well. I loved the selflessness of Cassie. I loved how Matt worked hard at reining in his thoughts and desires for Cassie. I wanted them to be together so bad. But with her situation with a husband in a persistent vegetated state what is she to do? She remained faithful but she wasn’t living life. The book could drive one crazy but thank goodness for Ms. Pearl. If you want some romance but at a distance, matchmaker, finding love a second time around, children, psychiatry, the beach, soccer, basketball, barns, extended families, HEA, and a situation that no one should ever have to face than this might be for you! Michele Paige Holmes spent her childhood and youth in Arizona and northern California, often curled up with a good book instead of out enjoying the sunshine. She graduated from Brigham Young University with a degree in Elementary Education and found it an excellent major in which to indulge her love of children's literature. 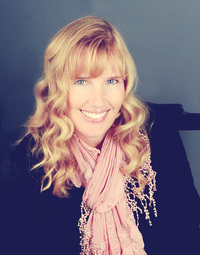 She is the author of nine published romance novels, which include books in the STARS Series (contemporary romance), HEARTHFIRE HISTORICALS, and the FOREVER AFTER series (young adult fairy tales). She is also the author of three novellas, two in the TIMELESS ROMANCE COLLECTION. Her latest release, BETWEEN HEAVEN AND EARTH (Mirror Press, August 2016), is a part of the POWER OF THE MATCHMAKER series. Michele attributes much of what she knows about good writing to time spent with her critique group and feels that joining a critique group is the single best thing an author can to do help improve his or her writing. She has been a member of RWA and URWA, LDStorymakers, and The League of Utah Writers. Michele enjoys both attending and teaching at conferences. When not reading or writing romance, Michele is busy with her full time job as a wife and mother. She and her husband live in Utah with their five high maintenance children and a Shitzu that resembles a teddy bear. You can find Michele on the web at michelepaigeholmes.com and on Facebook and twitter.